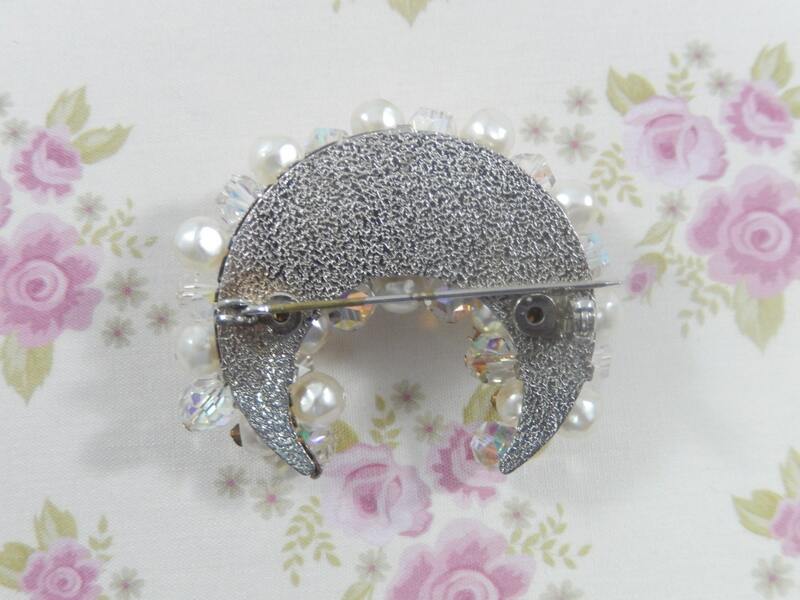 This is a showy vintage faux pearl and clear faceted bead silver tone crescent moon brooch. 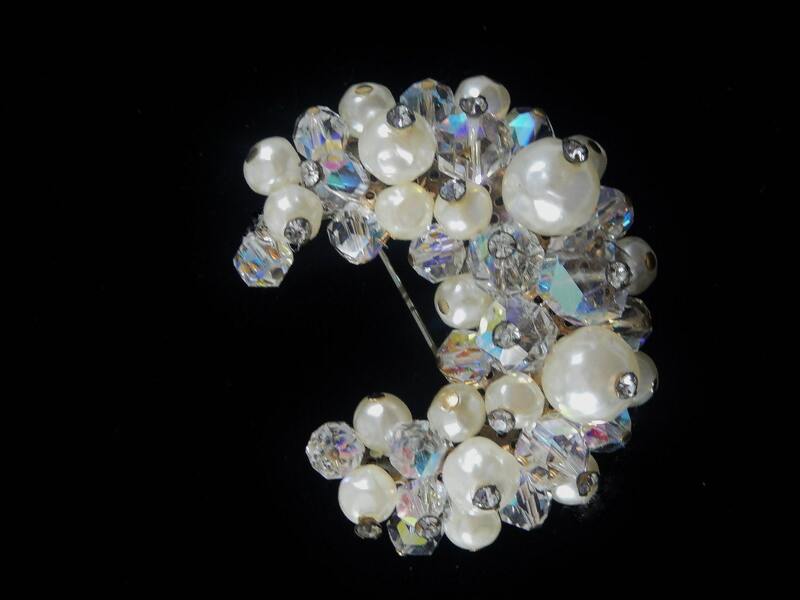 There are four rows of mixed pearls and beads and the two inner rows all have headpins with a rhinestone. 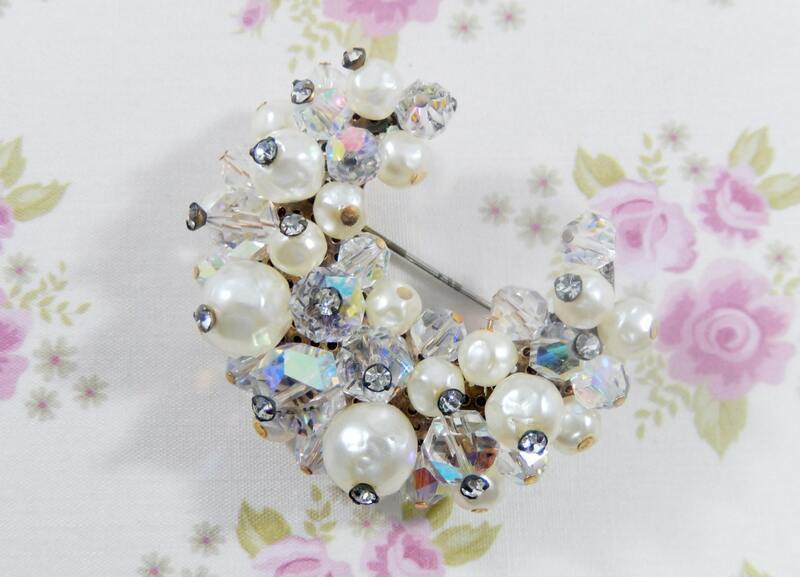 The back is clean with a small area of tarnish on the pin. It measures 2" x 1 3/4" and the pin closure is straight and works smoothly and securely. 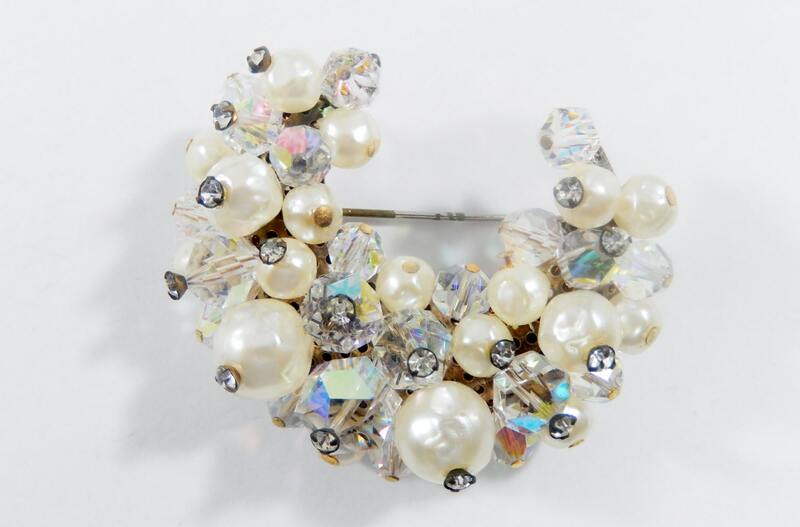 This is a delightful vintage brooch that would look great on anything black like a lapel, a sweater, a scarf, or even a hat!